Top-rated party performers in Greater Toronto area. 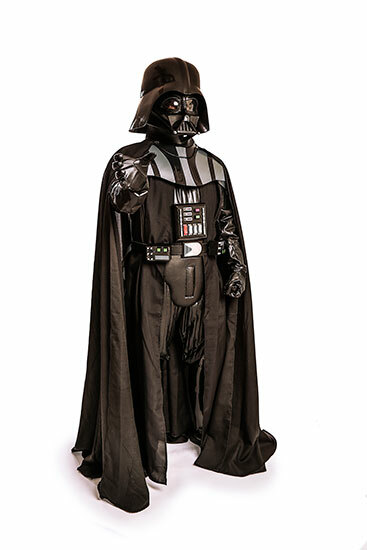 Join the Dark Side... Darth Vader would be honored to attend your party. We had Spiderman and Batman at our sons 4th birthday party. They were both amazing!!! They kept both kids and adults engaged the whole time. From Superhero training to tattoos and finally a certificate inducting our son into their League- our expectations were beyond met! The characters were well mannered and fantastic with the kids! My son whispered to me later “I think they were real! !” BEST birthday party ever!! Thank you!! Today we had our daughter’s 3rd Birthday Party! Elsa attended the party and it was AMAZING! The kids were quite young and Elsa kept their attention – they were fascinated and very happy to see her. Elsa sang, told stories and there were smiling faces everywhere — a wonderful birthday! Thank you so much! Wow! We had Ariel for our daughters 4th Birthday and I can’t believe how great she was.We were shocked at her beautiful singing voice and her performance from beginning to end never breaking character once. My daughter was shocked and hasn’t stopped talking about how ariel came to her birthday! Will definitely be using Ever After again in the future. Thank you Ever After Entertainment for making her birthday truly special. Grayson loved having Captain America at his birthday party. All the kids were super excited. Captain America was amazing with the kids…Taking pictures, allowing them to play with shield and doing tattoos. Couldn’t have asked for anything more. Thank you Captain America and Ever After Entertainment for making Grayson’s 5th birthday a memorable one! Your Jedi will share their story of how they trained to become a trained Jedi Master! 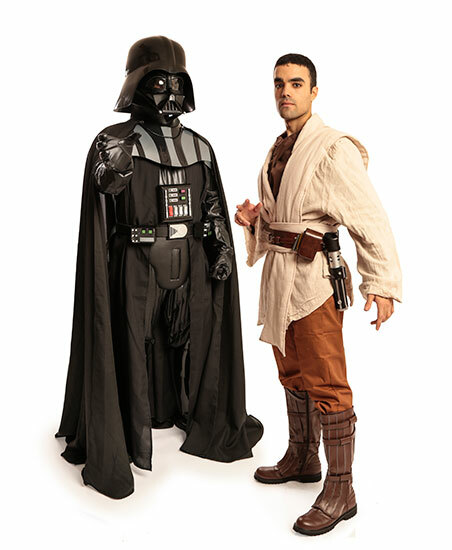 Your Jedi Knight will present each participant with their own Jedi Robe & Training Sabre. All young Padawan will be lead through a series of physical activities that will get excited about their new Jedi Skills just in time for battle! All participants will have the opportunity to take part in an epic Light Sabre Battle. All young Padawan will either battle their Jedi Knight or a member of the Galactic Empire, depending on your party package! All participants will receive an official Star Wars tattoo from the Jedi & will then be given the chance to practice the Force! The Jedi Knight will lead the children in a special oath & then present the Birthday Padawan with their very own Jedi certificate & Jedi Keepsake, naming them a Honorary Jedi Knight! 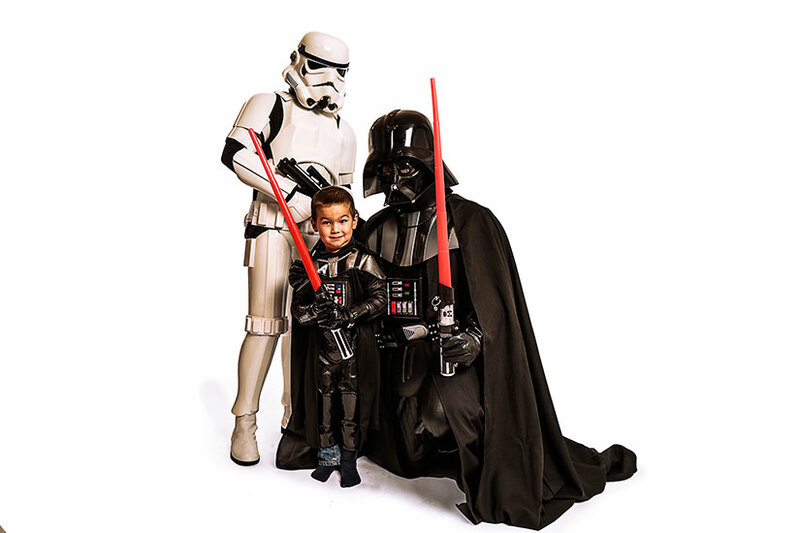 Remember your little Padawan's day with pictures throughout the party! Your Star Warrior team will sign autographs and pose for photos with all your partygoers! Your Jedi Knight prepares for another mission and bids your party guests farewell, keeping the Galactic Empire at bay once more. Congratulations on completing the first part of your training! * This party has additional elements that will require parental assistance in preparation for the most epic party ever! There is a reason why 8300+ parents invited us to create party magic! Over 8300 happy parents in the Greater Toronto Area, since 2012! 10+ theatre trained actors & professional singers that children truly love! Theatre quality, custom made costumes that bring each character to life! Hundreds of 5-star reviews on Google and Facebook. Our professional team of actors will be sure to bring the magic to you! 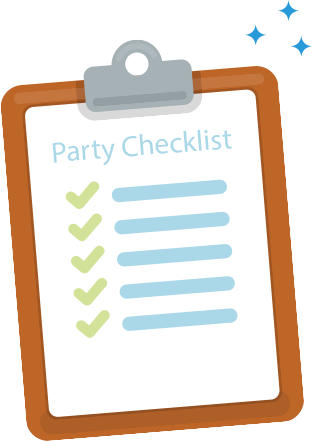 A checklist that has helped thousands of parents plan the perfect party for their children. Download yours now. It's free! Ever After Entertainment is an independent company and is not associated with, affiliated with, or licensed by Walt Disney Company, Warner Brothers, DC Comics, Lucas Arts, Marvel, Saban, Mattel, or SCG Power Rangers LLC. Some of these characters are trademarks of their respective companies. Ever After Entertainment make fairytales come to life in Toronto, Brampton, Hamilton, Markham, Mississauga, Richmond Hill. Vaughan, Woodbridge and the rest of the GTA.